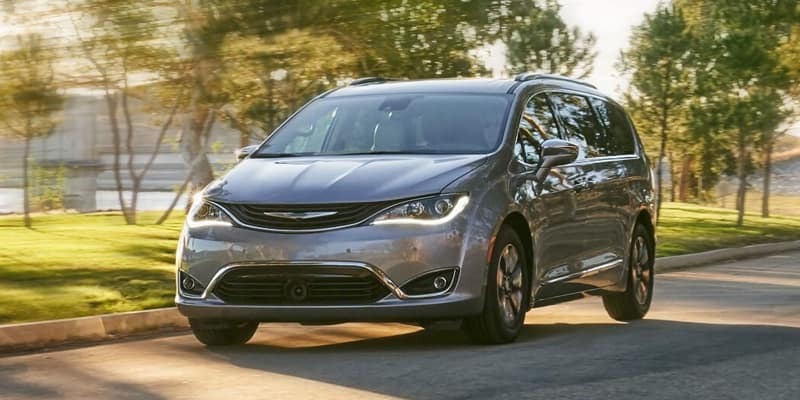 The 2019 Chrysler Pacifica is the market’s top minivan and should be the go-to choice for any family that needs a new vehicle. Whether you are seeking advanced technology, exceptional fuel efficiency, or a spacious interior, the Pacifica provides everything you need. Here are some highlights to help you learn more about the best features of this first-rate minivan. 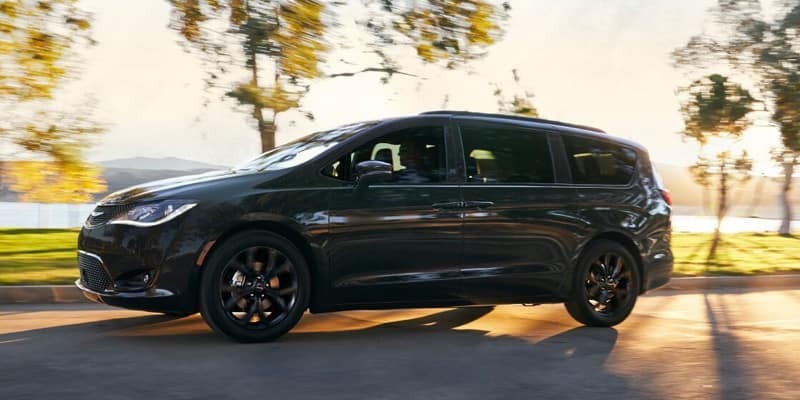 The 2019 Chrysler Pacifica offers six different trim levels, but no matter which one you choose, you and your family will enjoy world-class features. The L trim is the standard option, and some of its amenities include steel wheels, keyless ignition, and heated mirrors. The LX trim upgrades to alloy wheels and adds body-colored exterior trim and an engine stop-start system. The Touring Plus trim offers an array of exterior features, including chrome trimming, LED taillights, and the option to upgrade to 18-inch wheels. Equipment you’ll receive with the Touring L trim includes an upgraded front passenger seat and retractable sunshades in the second and third rows. The Touring L Plus trim adds a stunning tri-pane panoramic sunroof, and finally, the Limited trim is equipped with xenon headlamps, hands-free sliding doors and liftgate, and turn-signal indicators in the side mirrors. Driving the 2019 Chrysler Pacifica is an incredibly enjoyable experience, thanks to its powerful engine. 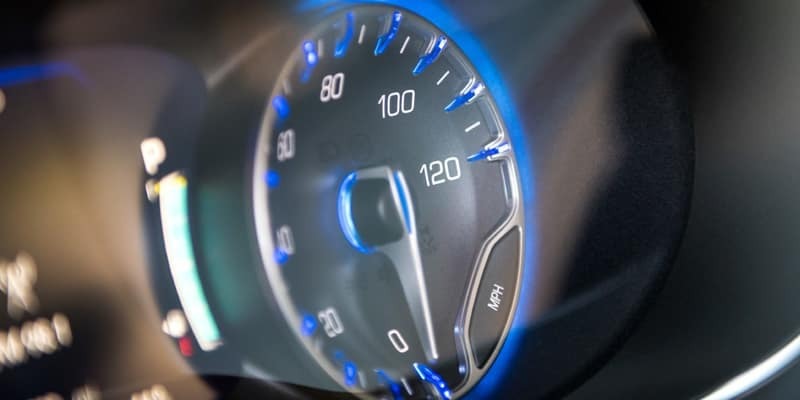 All Pacifica trim levels come equipped with a standard 3.6-liter Pentastar V-6 engine that produces 287 horsepower and 262 pound-feet of torque. Whether you’re taking your family on a road trip or running your daily errands, the Pacifica provides all the power you’ll need. In addition to its reliable engine, the new Pacifica offers several performance features that will optimize your driving experience. The nine-speed automatic transmission effectively transmits power to the front wheels so that your time on the road is as smooth and simple as possible. The Pacifica also comes standard with an electronic stability control system that guarantees you have total control of your automobile. The large, feature-filled cabin of the Chrysler Pacifica is the best reason to invest in this minivan. For cargo storage, the Pacifica provides 140.5 cubic feet of space behind the first row. And with more than 200 seating configurations, you can tailor the interior of your vehicle to match your family’s lifestyle. If you have children, you’ll appreciate the Uconnect Theater system that provides everything you need to keep your kids occupied on any trip, including a Blu-ray player, two touch screens, and wireless headphones. With the optional 8.4-inch touch screen, alongside systems like Android Auto and Apple CarPlay, you can easily control your smartphone apps, including text messaging and navigation. High-end safety features can be found in abundance in the latest version of the Chrysler Pacifica. For instance, this minivan is available with active front crash-prevention features that will let you know when an accident is possible and help you take measures to avoid the collision. 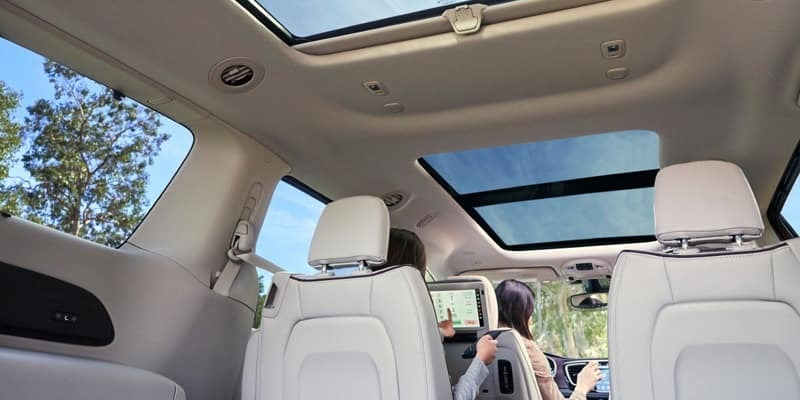 With the 2019 Chrysler Pacifica, you’ll also have access to a bird’s-eye view of the exterior of your vehicle, thanks to the available 360-degree surround view camera. * 6 Cylinder engine * * 2019 ** Chrysler * * Pacifica * * LX * When you're ready to upgrade your ride, opt for this 2019 Chrysler Pacifica LX, which includes features such as backup sensor, rear air conditioning, push button start, backup camera, blind spot sensors, parking assistance, Bluetooth, braking assist, dual climate control, and hill start assist. It has a 6 Cylinder engine. Rocking a sharp crystal metallic exterior and a black/alloy interior, this car is a sight to see from the inside out. This one's a keeper. It has a crash test safety rating of 5 out of 5 stars. Interested? Call today to take this vehicle for a spin! Call Josh Tharp at 317-839-6554 for more information or to start your EAZY DEAL at Westgate By submitting an inquiry on this vehicle you are agreeing and consenting to our dealership contacting you by telephone, text messaging or other means concerning your inquiry, potential vehicle sale or promotional offerings by our dealership and other information. By participating, you consent to receive recurring text messages sent through an automatic telephone dialing system. Message and data rates m. Contact Information: Westgate Chrysler, 2695 East Main Street, Plainfield, IN, 46168, Phone: (317) 839-6554, E-mail: jtharp@westgateauto.com. * 6 Cylinder engine * * 2019 ** Chrysler * * Pacifica * * Touring Plus * If you're shopping for a quality vehicle with perks such as a backup sensor, rear air conditioning, push button start, remote starter, backup camera, blind spot sensors, parking assistance, Bluetooth, braking assist, and dual climate control, this 2019 Chrysler Pacifica Touring Plus may be the car for you. It comes with a 6 Cylinder engine. Exhibiting a sleek ocean blue metallic exterior and a black interior, this vehicle won't be on the market for long. This one's a keeper. It has a crash test safety rating of 5 out of 5 stars. Call or visit to talk with one of our vehicle specialists today! Call Josh Tharp at 317-839-6554 for more information or to start your EAZY DEAL at Westgate By submitting an inquiry on this vehicle you are agreeing and consenting to our dealership contacting you by telephone, text messaging or other means concerning your inquiry, potential vehicle sale or promotional offerings by our dealership and other information. By participating, you consent to receive recurring text messages sent through an automatic telephone dialing system. Message and data rates m. Contact Information: Westgate Chrysler, 2695 East Main Street, Plainfield, IN, 46168, Phone: (317) 839-6554, E-mail: jtharp@westgateauto.com. * 6 Cylinder engine * * 2019 ** Chrysler * * Pacifica * * Touring Plus * This 2019 Chrysler Pacifica Touring Plus features a backup sensor, rear air conditioning, push button start, remote starter, backup camera, blind spot sensors, parking assistance, Bluetooth, braking assist, and dual climate control and may just be the car you've been waiting for. It comes with a 6 Cylinder engine. Exhibiting a sleek ocean blue metallic exterior and a black interior, this vehicle won't be on the market for long. Be sure of your safety with a crash test rating of 5 out of 5 stars. View this beauty and our entire inventory today! Call for more details. Call Josh Tharp at 317-839-6554 for more information or to start your EAZY DEAL at Westgate By submitting an inquiry on this vehicle you are agreeing and consenting to our dealership contacting you by telephone, text messaging or other means concerning your inquiry, potential vehicle sale or promotional offerings by our dealership and other information. By participating, you consent to receive recurring text messages sent through an automatic telephone dialing system. Message and data rates m. Contact Information: Westgate Chrysler, 2695 East Main Street, Plainfield, IN, 46168, Phone: (317) 839-6554, E-mail: jtharp@westgateauto.com. * 6 Cylinder engine * * 2019 ** Chrysler * * Pacifica * * Touring Plus * If you're shopping for a quality vehicle with perks such as a backup sensor, rear air conditioning, push button start, remote starter, backup camera, blind spot sensors, parking assistance, Bluetooth, braking assist, and dual climate control, this 2019 Chrysler Pacifica Touring Plus may be the car for you. It has a 6 Cylinder engine. Exhibiting a sleek brilliant black crys exterior and a black interior, this vehicle won't be on the market for long. This one scored a crash test rating of 5 out of 5 stars. Call today and take this one out for a spin! Call Josh Tharp at 317-839-6554 for more information or to start your EAZY DEAL at Westgate By submitting an inquiry on this vehicle you are agreeing and consenting to our dealership contacting you by telephone, text messaging or other means concerning your inquiry, potential vehicle sale or promotional offerings by our dealership and other information. By participating, you consent to receive recurring text messages sent through an automatic telephone dialing system. Message and data rates m. Contact Information: Westgate Chrysler, 2695 East Main Street, Plainfield, IN, 46168, Phone: (317) 839-6554, E-mail: jtharp@westgateauto.com. * 6 Cylinder engine * * 2019 ** Chrysler * * Pacifica * * Touring Plus * If you're looking for a smooth ride, look no further than this 2019 Chrysler Pacifica Touring Plus with a backup sensor, rear air conditioning, push button start, remote starter, backup camera, blind spot sensors, parking assistance, Bluetooth, braking assist, and dual climate control. It has a 6 Cylinder engine. Complete with a sharp bright white clearco exterior and a black interior, this vehicle is in high demand. This mini van is one of the safest you could buy. It earned a crash test rating of 5 out of 5 stars. Interested? Don't let it slip away! Call today for a test drive. Call Josh Tharp at 317-839-6554 for more information or to start your EAZY DEAL at Westgate By submitting an inquiry on this vehicle you are agreeing and consenting to our dealership contacting you by telephone, text messaging or other means concerning your inquiry, potential vehicle sale or promotional offerings by our dealership and other information. By participating, you consent to receive recurring text messages sent through an automatic telephone dialing system. Message and data rates m. Contact Information: Westgate Chrysler, 2695 East Main Street, Plainfield, IN, 46168, Phone: (317) 839-6554, E-mail: jtharp@westgateauto.com. * 6 Cylinder engine * * 2019 ** Chrysler * * Pacifica * * Touring Plus * With features like backup sensor, rear air conditioning, push button start, remote starter, backup camera, blind spot sensors, parking assistance, Bluetooth, braking assist, and dual climate control, this 2019 Chrysler Pacifica Touring Plus is a must-have ride. It has a 6 Cylinder engine. Drivers love the stunning cordovan exterior with a black interior. This mini van scored a crash test safety rating of 5 out of 5 stars. View this beauty and our entire inventory today! Call for more details. Call Josh Tharp at 317-839-6554 for more information or to start your EAZY DEAL at Westgate By submitting an inquiry on this vehicle you are agreeing and consenting to our dealership contacting you by telephone, text messaging or other means concerning your inquiry, potential vehicle sale or promotional offerings by our dealership and other information. By participating, you consent to receive recurring text messages sent through an automatic telephone dialing system. Message and data rates m. Contact Information: Westgate Chrysler, 2695 East Main Street, Plainfield, IN, 46168, Phone: (317) 839-6554, E-mail: jtharp@westgateauto.com. * 6 Cylinder engine * * 2019 ** Chrysler * * Pacifica * * Touring Plus * It doesn't get much better than this 2019 Chrysler Pacifica Touring Plus, which boasts a backup sensor, rear air conditioning, push button start, remote starter, backup camera, blind spot sensors, parking assistance, Bluetooth, braking assist, and dual climate control. It comes with a 6 Cylinder engine. Exhibiting a stunning velvet exterior and a black interior, this vehicle won't be on the market for long. Looking to buy a safer mini van? Look no further! This one passed the crash test with 5 out of 5 stars. Call or visit to talk with one of our vehicle specialists today! Call Josh Tharp at 317-839-6554 for more information or to start your EAZY DEAL at Westgate By submitting an inquiry on this vehicle you are agreeing and consenting to our dealership contacting you by telephone, text messaging or other means concerning your inquiry, potential vehicle sale or promotional offerings by our dealership and other information. By participating, you consent to receive recurring text messages sent through an automatic telephone dialing system. Message and data rates m. Contact Information: Westgate Chrysler, 2695 East Main Street, Plainfield, IN, 46168, Phone: (317) 839-6554, E-mail: jtharp@westgateauto.com. * 6 Cylinder engine * * 2019 ** Chrysler * * Pacifica * * Touring L * Featuring a backup sensor, rear air conditioning, push button start, remote starter, backup camera, blind spot sensors, parking assistance, Bluetooth, braking assist, and dual climate control, be sure to take a look at this 2019 Chrysler Pacifica Touring L before it's gone. It has a 6 Cylinder engine. Rocking a charming velvet exterior and a black/alloy interior, this car is a great pick. Drive away with an impeccable 5-star crash test rating and prepare yourself for any situation. Interested? Call today to take this vehicle for a spin! Call Josh Tharp at 317-839-6554 for more information or to start your EAZY DEAL at Westgate By submitting an inquiry on this vehicle you are agreeing and consenting to our dealership contacting you by telephone, text messaging or other means concerning your inquiry, potential vehicle sale or promotional offerings by our dealership and other information. By participating, you consent to receive recurring text messages sent through an automatic telephone dialing system. Message and data rates m. Contact Information: Westgate Chrysler, 2695 East Main Street, Plainfield, IN, 46168, Phone: (317) 839-6554, E-mail: jtharp@westgateauto.com. * 6 Cylinder engine * * 2019 ** Chrysler * * Pacifica * * Touring L * Make sure to get your hands on this 2019 Chrysler Pacifica Touring L with a backup sensor, rear air conditioning, push button start, remote starter, backup camera, blind spot sensors, parking assistance, Bluetooth, braking assist, and dual climate control before it's too late! It comes with a 6 Cylinder engine. Exhibiting a dazzling brilliant black crys exterior and a black/black/black interior, this vehicle won't be on the market for long. This mini van scored a crash test safety rating of 5 out of 5 stars. View this beauty and our entire inventory today! Call for more details. Call Josh Tharp at 317-839-6554 for more information or to start your EAZY DEAL at Westgate By submitting an inquiry on this vehicle you are agreeing and consenting to our dealership contacting you by telephone, text messaging or other means concerning your inquiry, potential vehicle sale or promotional offerings by our dealership and other information. By participating, you consent to receive recurring text messages sent through an automatic telephone dialing system. Message and data rates m. Contact Information: Westgate Chrysler, 2695 East Main Street, Plainfield, IN, 46168, Phone: (317) 839-6554, E-mail: jtharp@westgateauto.com. * 6 Cylinder engine * * 2019 ** Chrysler * * Pacifica * * Touring L * This 2019 Chrysler Pacifica Touring L includes a backup sensor, rear air conditioning, push button start, remote starter, backup camera, blind spot sensors, parking assistance, Bluetooth, braking assist, and dual climate control and is a car that deserves some serious attention. It has a 6 Cylinder engine. Exhibiting a stunning crystal metallic exterior and a black/black/black interior, this vehicle won't be on the market for long. This mini van scored a crash test safety rating of 5 out of 5 stars. Call today to test it out! Call Josh Tharp at 317-839-6554 for more information or to start your EAZY DEAL at Westgate By submitting an inquiry on this vehicle you are agreeing and consenting to our dealership contacting you by telephone, text messaging or other means concerning your inquiry, potential vehicle sale or promotional offerings by our dealership and other information. By participating, you consent to receive recurring text messages sent through an automatic telephone dialing system. Message and data rates m. Contact Information: Westgate Chrysler, 2695 East Main Street, Plainfield, IN, 46168, Phone: (317) 839-6554, E-mail: jtharp@westgateauto.com. * 6 Cylinder engine * * 2019 ** Chrysler * * Pacifica * * Touring L * The backup sensor, rear air conditioning, push button start, remote starter, backup camera, blind spot sensors, parking assistance, Bluetooth, braking assist, and dual climate control of this 2019 Chrysler Pacifica Touring L make this vehicle a true standout. It has a 6 Cylinder engine. Rocking a gorgeous bright white clearco exterior and a black/black/black interior, this car is a sight to see from the inside out. With a 5-star crash test rating, this is one of the safest vehicles you can buy. Come see us today and see this one in person! Call Josh Tharp at 317-839-6554 for more information or to start your EAZY DEAL at Westgate By submitting an inquiry on this vehicle you are agreeing and consenting to our dealership contacting you by telephone, text messaging or other means concerning your inquiry, potential vehicle sale or promotional offerings by our dealership and other information. By participating, you consent to receive recurring text messages sent through an automatic telephone dialing system. Message and data rates m. Contact Information: Westgate Chrysler, 2695 East Main Street, Plainfield, IN, 46168, Phone: (317) 839-6554, E-mail: jtharp@westgateauto.com. * 6 Cylinder engine * * 2019 ** Chrysler * * Pacifica * * Touring L * This reliable 2019 Chrysler Pacifica Touring L comes with a variety of features, including backup sensor, rear air conditioning, push button start, remote starter, backup camera, blind spot sensors, parking assistance, Bluetooth, braking assist, and dual climate control. It comes with a 6 Cylinder engine. Rocking a stunning blue pearl exterior and a black/black/black interior, this car is a sight to see from the inside out. This mini van is one of the safest you could buy. It earned a crash test rating of 5 out of 5 stars. This is the vehicle you have been waiting for! Call now to schedule a test drive! Call Josh Tharp at 317-839-6554 for more information or to start your EAZY DEAL at Westgate By submitting an inquiry on this vehicle you are agreeing and consenting to our dealership contacting you by telephone, text messaging or other means concerning your inquiry, potential vehicle sale or promotional offerings by our dealership and other information. By participating, you consent to receive recurring text messages sent through an automatic telephone dialing system. Message and data rates m. Contact Information: Westgate Chrysler, 2695 East Main Street, Plainfield, IN, 46168, Phone: (317) 839-6554, E-mail: jtharp@westgateauto.com. * 6 Cylinder engine * * 2019 ** Chrysler * * Pacifica * * Touring L * This 2019 Chrysler Pacifica Touring L features a backup sensor, rear air conditioning, push button start, remote starter, backup camera, blind spot sensors, parking assistance, Bluetooth, braking assist, and dual climate control and may just be the car you've been waiting for. It comes with a 6 Cylinder engine. Flaunting a sleek ocean blue metallic exterior and a black/black/black interior, this car is a sight to see from the inside out. Want a mini van you can rely on? This one has a crash test rating of 5 out of 5 stars! Come see us today and see this one in person! Call Josh Tharp at 317-839-6554 for more information or to start your EAZY DEAL at Westgate By submitting an inquiry on this vehicle you are agreeing and consenting to our dealership contacting you by telephone, text messaging or other means concerning your inquiry, potential vehicle sale or promotional offerings by our dealership and other information. By participating, you consent to receive recurring text messages sent through an automatic telephone dialing system. Message and data rates m. Contact Information: Westgate Chrysler, 2695 East Main Street, Plainfield, IN, 46168, Phone: (317) 839-6554, E-mail: jtharp@westgateauto.com. * 6 Cylinder engine * * 2019 ** Chrysler * * Pacifica * * Touring L * If you're looking for a smooth ride, look no further than this 2019 Chrysler Pacifica Touring L with a backup sensor, rear air conditioning, push button start, remote starter, backup camera, blind spot sensors, parking assistance, Bluetooth, braking assist, and dual climate control. It comes with a 6 Cylinder engine. Flaunting a ravishing brilliant black crys exterior and a black/black/black interior, this car is a sight to see from the inside out. With an unbeatable 5-star crash test rating, this mini van puts safety first. Interested? Call today and take it for a spin! Call Josh Tharp at 317-839-6554 for more information or to start your EAZY DEAL at Westgate By submitting an inquiry on this vehicle you are agreeing and consenting to our dealership contacting you by telephone, text messaging or other means concerning your inquiry, potential vehicle sale or promotional offerings by our dealership and other information. By participating, you consent to receive recurring text messages sent through an automatic telephone dialing system. Message and data rates m. Contact Information: Westgate Chrysler, 2695 East Main Street, Plainfield, IN, 46168, Phone: (317) 839-6554, E-mail: jtharp@westgateauto.com. * 6 Cylinder engine * * 2019 ** Chrysler * * Pacifica * * Touring L * When you're ready to upgrade your ride, opt for this 2019 Chrysler Pacifica Touring L, which includes features such as backup sensor, rear air conditioning, push button start, remote starter, backup camera, blind spot sensors, parking assistance, Bluetooth, braking assist, and dual climate control. It comes with a 6 Cylinder engine. Complete with a timeless brilliant black crys exterior and a black/black/black interior, this vehicle is in high demand. This one scored a crash test rating of 5 out of 5 stars. Want to learn more? Call today for more information. Call Josh Tharp at 317-839-6554 for more information or to start your EAZY DEAL at Westgate By submitting an inquiry on this vehicle you are agreeing and consenting to our dealership contacting you by telephone, text messaging or other means concerning your inquiry, potential vehicle sale or promotional offerings by our dealership and other information. By participating, you consent to receive recurring text messages sent through an automatic telephone dialing system. Message and data rates m. Contact Information: Westgate Chrysler, 2695 East Main Street, Plainfield, IN, 46168, Phone: (317) 839-6554, E-mail: jtharp@westgateauto.com. * 6 Cylinder engine * * 2019 ** Chrysler * * Pacifica * * Touring L Plus * Treat yourself to this 2019 Chrysler Pacifica Touring L Plus, which features a backup sensor, rear air conditioning, push button start, remote starter, backup camera, blind spot sensors, parking assistance, Bluetooth, a navigation system, and braking assist. It has a 6 Cylinder engine. Drivers love the gorgeous black exterior with a black/black/black interior. Don't skimp on safety. Rest easy with a 5 out of 5 star crash test rating. Call today and take this one out for a spin! Call Josh Tharp at 317-839-6554 for more information or to start your EAZY DEAL at Westgate By submitting an inquiry on this vehicle you are agreeing and consenting to our dealership contacting you by telephone, text messaging or other means concerning your inquiry, potential vehicle sale or promotional offerings by our dealership and other information. By participating, you consent to receive recurring text messages sent through an automatic telephone dialing system. Message and data rates m. Contact Information: Westgate Chrysler, 2695 East Main Street, Plainfield, IN, 46168, Phone: (317) 839-6554, E-mail: jtharp@westgateauto.com. * 6 Cylinder engine * * 2019 ** Chrysler * * Pacifica * * Touring L Plus * When you're ready to upgrade your ride, opt for this 2019 Chrysler Pacifica Touring L Plus, which includes features such as backup sensor, rear air conditioning, push button start, remote starter, backup camera, blind spot sensors, parking assistance, Bluetooth, a navigation system, and braking assist. It comes with a 6 Cylinder engine. For a good-looking vehicle from the inside out, this car features a sharp brilliant black crystal pearlcoat exterior along with a black/black/black interior. This safe and reliable mini van has a crash test rating of 5 out of 5 stars! Make your move before it's too late schedule a test drive today! Call Josh Tharp at 317-839-6554 for more information or to start your EAZY DEAL at Westgate By submitting an inquiry on this vehicle you are agreeing and consenting to our dealership contacting you by telephone, text messaging or other means concerning your inquiry, potential vehicle sale or promotional offerings by our dealership and other information. By participating, you consent to receive recurring text messages sent through an automatic telephone dialing system. Message and data rates m. Contact Information: Westgate Chrysler, 2695 East Main Street, Plainfield, IN, 46168, Phone: (317) 839-6554, E-mail: jtharp@westgateauto.com. * 6 Cylinder engine * * 2019 ** Chrysler * * Pacifica * * Touring L Plus * With features like backup sensor, rear air conditioning, push button start, remote starter, backup camera, blind spot sensors, parking assistance, Bluetooth, a navigation system, and braking assist, this 2019 Chrysler Pacifica Touring L Plus is a must-have ride. It comes with a 6 Cylinder engine. Flaunting a suave ocean blue metallic exterior and a black/black/black interior, this car is a sight to see from the inside out. Don't skimp on safety. Rest easy with a 5 out of 5 star crash test rating. This is the vehicle for you! Give us a call today and don't let it slip away! Call Josh Tharp at 317-839-6554 for more information or to start your EAZY DEAL at Westgate By submitting an inquiry on this vehicle you are agreeing and consenting to our dealership contacting you by telephone, text messaging or other means concerning your inquiry, potential vehicle sale or promotional offerings by our dealership and other information. By participating, you consent to receive recurring text messages sent through an automatic telephone dialing system. Message and data rates m. Contact Information: Westgate Chrysler, 2695 East Main Street, Plainfield, IN, 46168, Phone: (317) 839-6554, E-mail: jtharp@westgateauto.com. * 6 Cylinder engine * * 2019 ** Chrysler * * Pacifica * * Touring L Plus * Equipped with a backup sensor, rear air conditioning, push button start, remote starter, backup camera, blind spot sensors, parking assistance, Bluetooth, a navigation system, and braking assist, this 2019 Chrysler Pacifica Touring L Plus is a must for smart drivers everywhere. It comes with a 6 Cylinder engine. Complete with a sharp velvet exterior and a black/black/black interior, this vehicle is in high demand. Looking to buy a safer mini van? Look no further! This one passed the crash test with 5 out of 5 stars. Want to learn more? Call today for more information. Call Josh Tharp at 317-839-6554 for more information or to start your EAZY DEAL at Westgate By submitting an inquiry on this vehicle you are agreeing and consenting to our dealership contacting you by telephone, text messaging or other means concerning your inquiry, potential vehicle sale or promotional offerings by our dealership and other information. By participating, you consent to receive recurring text messages sent through an automatic telephone dialing system. Message and data rates m. Contact Information: Westgate Chrysler, 2695 East Main Street, Plainfield, IN, 46168, Phone: (317) 839-6554, E-mail: jtharp@westgateauto.com. * 6 Cylinder engine * * 2019 ** Chrysler * * Pacifica * * Touring L Plus * Don't miss out on this 2019 Chrysler Pacifica Touring L Plus! It comes with a backup sensor, rear air conditioning, push button start, remote starter, backup camera, blind spot sensors, parking assistance, Bluetooth, a navigation system, and braking assist for an even better ride. It comes with a 6 Cylinder engine. Complete with a sharp blue exterior and a black/black/black interior, this vehicle is in high demand. Stay safe with this mini van's 5 out of 5 star crash test rating. Call today to test it out! Call Josh Tharp at 317-839-6554 for more information or to start your EAZY DEAL at Westgate By submitting an inquiry on this vehicle you are agreeing and consenting to our dealership contacting you by telephone, text messaging or other means concerning your inquiry, potential vehicle sale or promotional offerings by our dealership and other information. By participating, you consent to receive recurring text messages sent through an automatic telephone dialing system. Message and data rates m. Contact Information: Westgate Chrysler, 2695 East Main Street, Plainfield, IN, 46168, Phone: (317) 839-6554, E-mail: jtharp@westgateauto.com.